At the end of World War I, society experienced a dramatic shift. Shaking off the misery and shell-shock, young people broke with traditional values and embraced all things modern. Women cast off their corsets, literally and figuratively, bobbed their hair, and danced the Charleston in speakeasies under the glow of the new electric lights. The Roaring 20s, or the Jazz Age, as it is also known, was a time in which life felt like it was moving in fast forward. Hedonism and liberation were in, and the original youth movement of the flappers forever changed the role of women in our society. 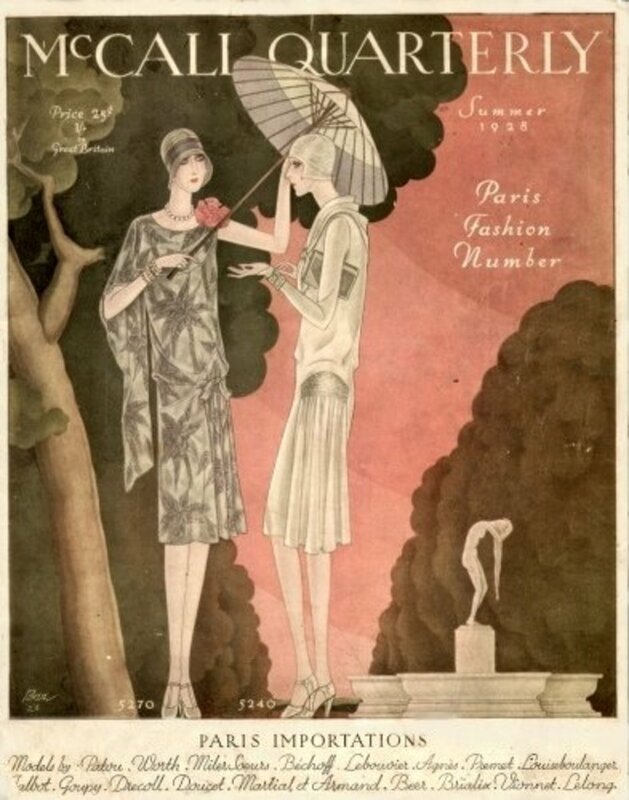 This is a look at the thrilling lifestyle, fashion, and trends of the 1920s. World War I, which ended in 1918, was the first modern war, and it created a truly profound change in American and European societies. As the young men came face to face with the horrors of trench warfare, women entered the workforce in numbers which had been unprecedented. Although they gave back many of those jobs to the men as they returned to the homefront (those that did return, that is), the genie of women's liberation could not be put back in the bottle. This was capped off by the ratification of the 19th Amendment in 1920, which gave women the vote. The changing place of women in society was only the beginning. The 1920s were a time of rapid advances in mass production, communication, transportation, and entertainment. 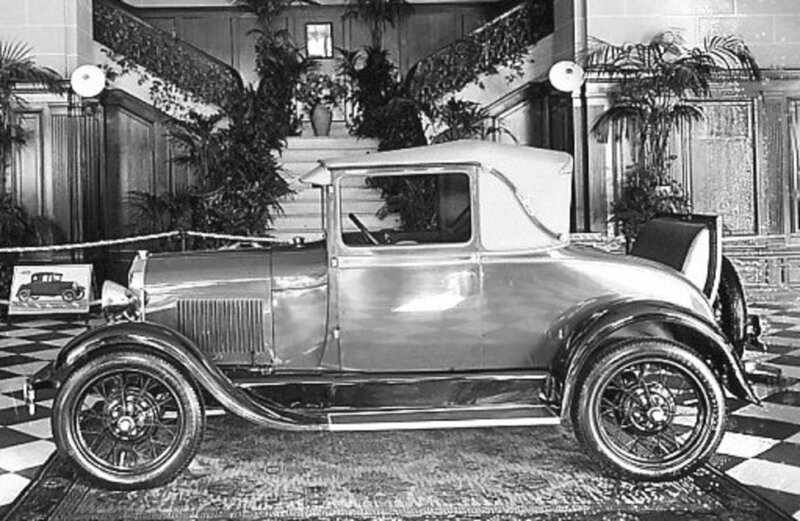 Automobiles, which had been mass produced on assembly lines since the Ford Model T in 1908, exploded in popularity in the 1920s. The emerging car culture was important to youths in the 1920s, just as it was in the 1950s. It gave them mobility, freedom, and privacy to engage in another hot trend of the Roaring 20s, making out. Actress Louise Brooks, seen here in 1926, helped to popularize the bob haircut. Jazz was hot in the Cotton Club. Electricity spread rapidly across the country in the 1920s, which in turn allowed for all sorts of other modern inventions to flourish. Moving pictures became all the rage, starting with the silent films in the first half of the decade and evolving into the early “talkies” with the debut of The Jazz Singer in 1927. By 1929, an estimated 90 million Americans took in a movie each week! The movie stars of the Roaring 20s are still well known names to this day. Famous faces like Charlie Chaplin, Greta Garbo, Joan Crawford, Al Jolson, Mary Pickford, Douglas Fairbanks, Louise Brooks, and Clara Bow were huge box office draws. Actresses like Louise Brooks and Clara Bow were key to popularizing the flapper style of dress. Commercial radio broadcasts became commonplace by the early '20s and offered a wide range of programming. Radios quickly became an integral part of most households. The instant availability of new music helped to popularize jazz and other new styles. Not only that, it allowed for mass marketing of all of the new consumer goods which were the driving force of the economy in the '20s, and helped to drive national, instead of merely regional, trends and ideas. The radios themselves were often works of art in and of themselves, in the Art Deco style which was in vogue during the Jazz Age. Jazz was the favorite type of music among the flappers. It was considered to be the ultimate in modernity and sophistication. It also had a whiff of rebellion and danger to it, due to its origins within the African-American community and the type of dancing it inspired. While the older generation was still doing the waltz and the foxtrot, the young generation was going crazy for dances like the Charleston and the Lindy Hop. Electric lights allowed for the rise of dance halls, which sponsored contests to lure in patrons. The frenetic style of the dance crazes of the Jazz Age fit perfectly with the hooch-inspired hedonism which reigned supreme among the flappers. The clubs in Harlem were the source of much of the popular music of the Roaring 20s. The fabled Cotton Club featured black musicians, but drew a mostly white crowd, while the nearby Savoy ballroom was primarily a hot spot for African-Americans. Speakeasies numbered in the tens of thousands in New York City alone. Prohibition was another one of the main influences on 1920s culture. The 18th Amendment went into effect on January 16, 1920, banning the manufacture, sale, transportation, and importation of alcoholic beverages. Notice what is missing from the law: a ban on the consumption of liquor. As neighborhood bars shuttered their doors, it did not take long for the emergence of one of the icons of the Roaring 20s: the speakeasy. These underground saloons were the playground of the flapper and her male counterpart, who went there to enjoy cocktails, live music, and dancing. The brash flappers drank and smoked openly, which was truly scandalous to their Edwardian mothers. Speakeasies were also a place to meet men for casual dating, as opposed to a place to meet a husband. 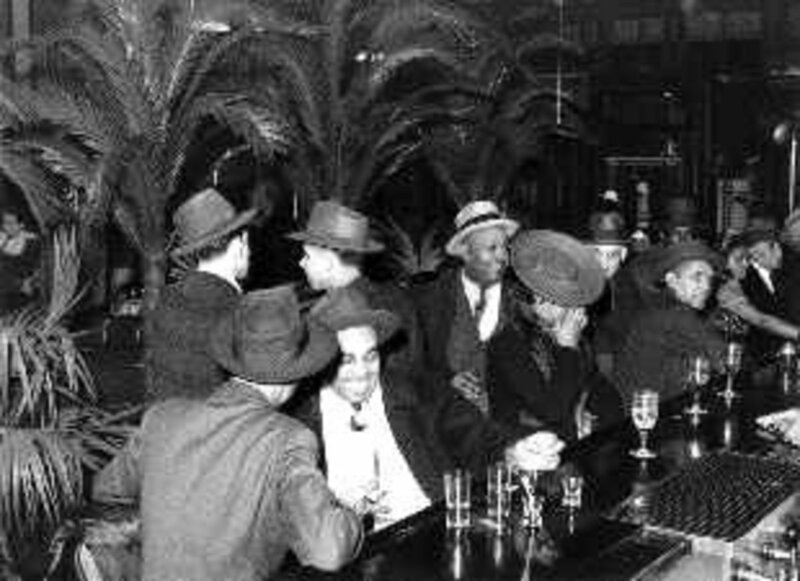 Many speakeasies were actually very nice establishments, which operated fairly openly with a wink and a nudge from law enforcement officers on the take. The popularity of the speakeasies helped to solidify the contempt which many of the young rebels of the era felt for the establishment. Prohibition did much more than that, of course; it also brought about the rise of organized crime, gangsters, rum-runners, bootleggers, and all sorts of other unsavory characters. 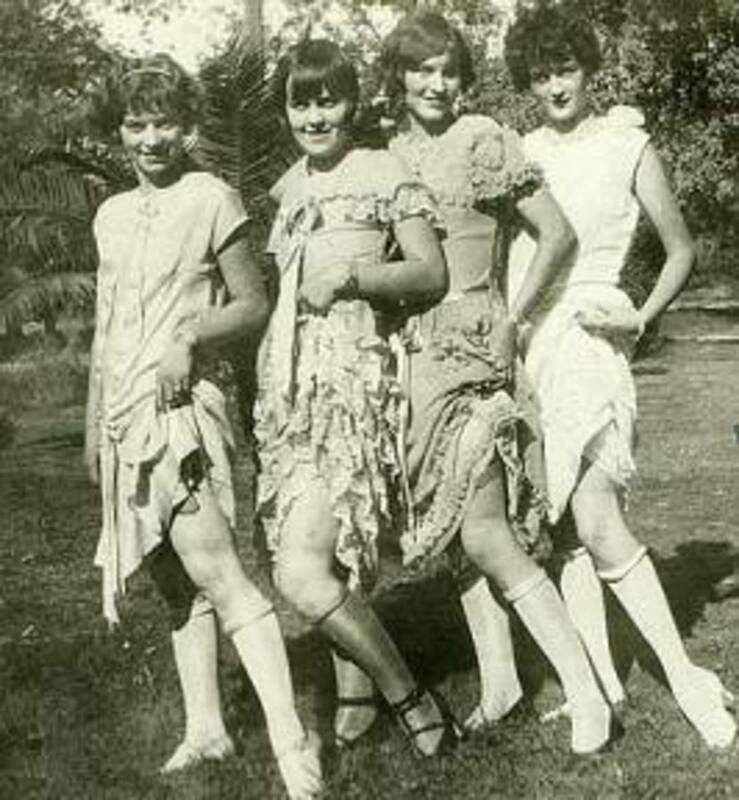 Four young ladies in the Roaring 20s. Without a doubt, it is the iconic flapper herself who best symbolizes the Jazz Age. It is their fashion which first springs to mind, but the appearance they cultivated was about much more than a mere style trend. Flapper fashion speaks volumes about the new independent woman who emerged during the Roaring 20s. Being a flapper was as much about attitude as clothing. The first thing which the woman of the 1920s did was abandon the corset. This underpinning had been indispensable in previous generations. Styles of corsetry changed from one decade to the next, and the shape of the garment helped to dictate the female body type which was fashionable at any given time. In the Edwardian period, corsets remolded women into an S shape, with the bust pushed forward and the bottom thrust back. So extreme was this corset that it could actually force organs to shift within the abdomen. This highly impractical constraint began to fade from use during WWI, as women left their homes to work in the war effort, as did fashions like hobble skirts which rendered upper class ladies unable to take normal steps when walking. In the Jazz Age, the wasp waist and matronly bust favored by the previous generation fell out of favor, replaced by a boyish silhouette. The ideal flapper figure was slender with a straight waist and a flat chest (achieved by use of undergarments, if not through nature). The women showed their sensuality not through emphasizing the curves of the female form, but by showing their arms and legs, which had never before been done by proper ladies. It was actually not until 1926 that the hemlines on most dresses rose high enough to reveal the knees, but the enthusiastic dancing of the Jazz Age ensured that dresses which fell below the knee were moving enough to reveal this new piece of female real estate. The boyish form of the flapper was emphasized by the straight drop waist shift dresses which are the epitome of flapper style. While ornately beaded shifts, such as those by haute couture designer Chanel, were wonderful for the wealthy woman headed out to the Cotton Club, the simplicity of the garment also made it one which the average home seamstress could easily create for herself. This is a bigger deal than one might realize, as it marks the first time that the premier fashions of an era were available to all classes. 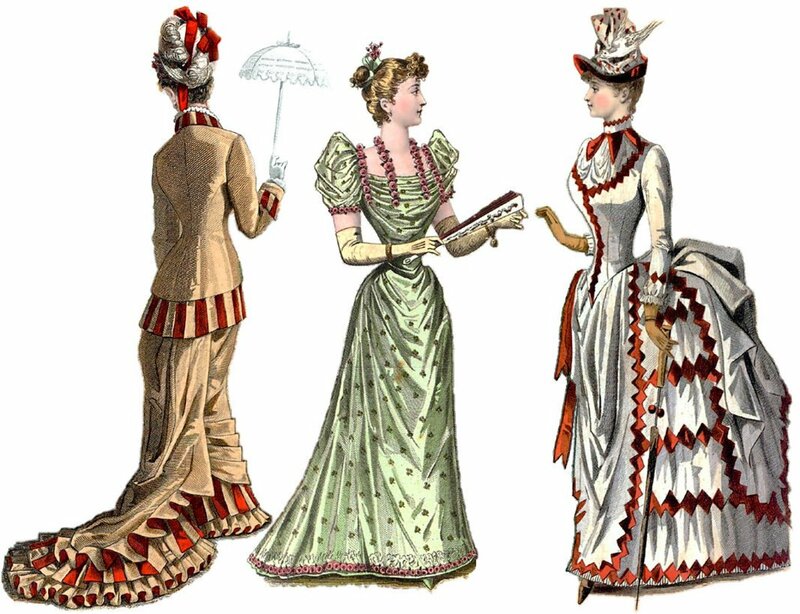 What we know as the styles of the Victorian or Edwardian periods are really the fashions which were worn by the upper classes (after all, what maid could do her job wearing an S-bend corset and a hobble skirt?). The bobbed hair and heavy eye makeup worn by flappers was bold and modern. 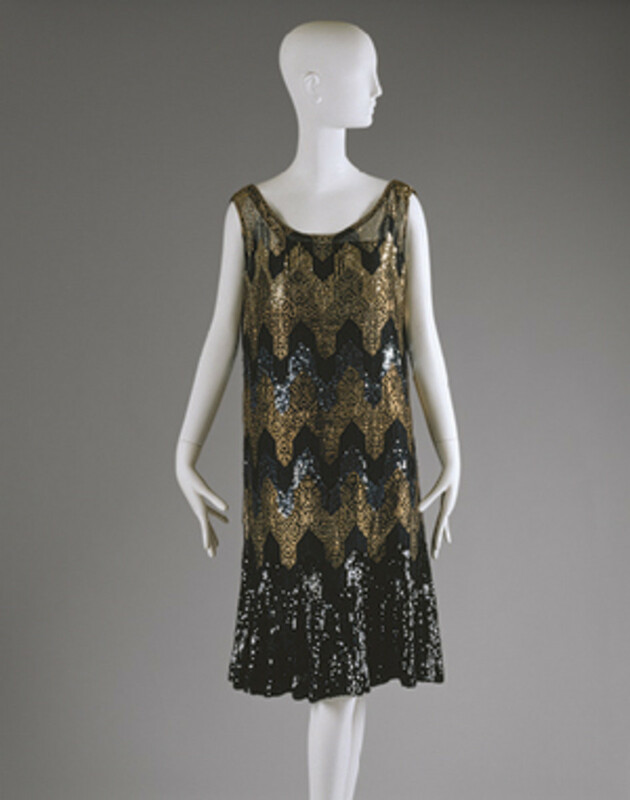 1926-7 beaded Chanel flapper dress. It was not only the dresses and figures of the Jazz Age which dramatically broke with custom. The most chic haircuts of the 1920s were chin length bobs. 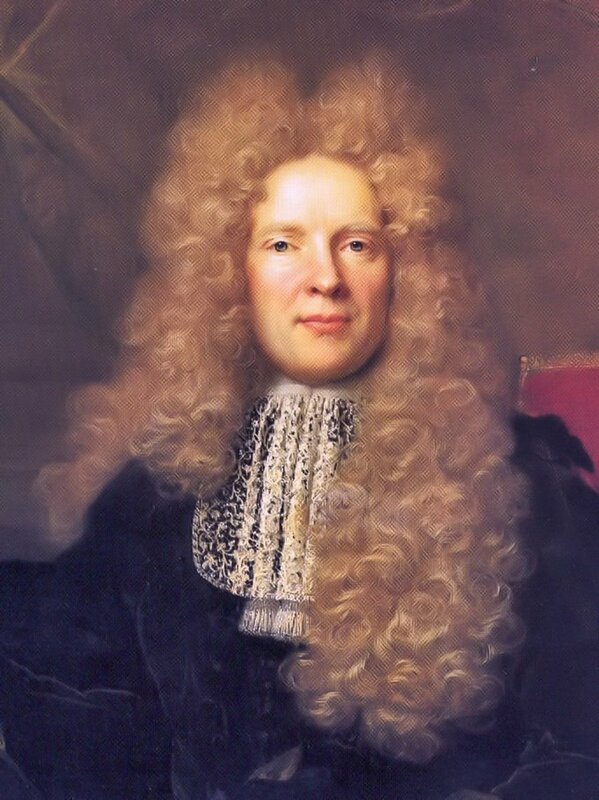 For generations, a grown woman's hair was considered to be her crowning glory, and to crop it all off was the height of independence and daring. 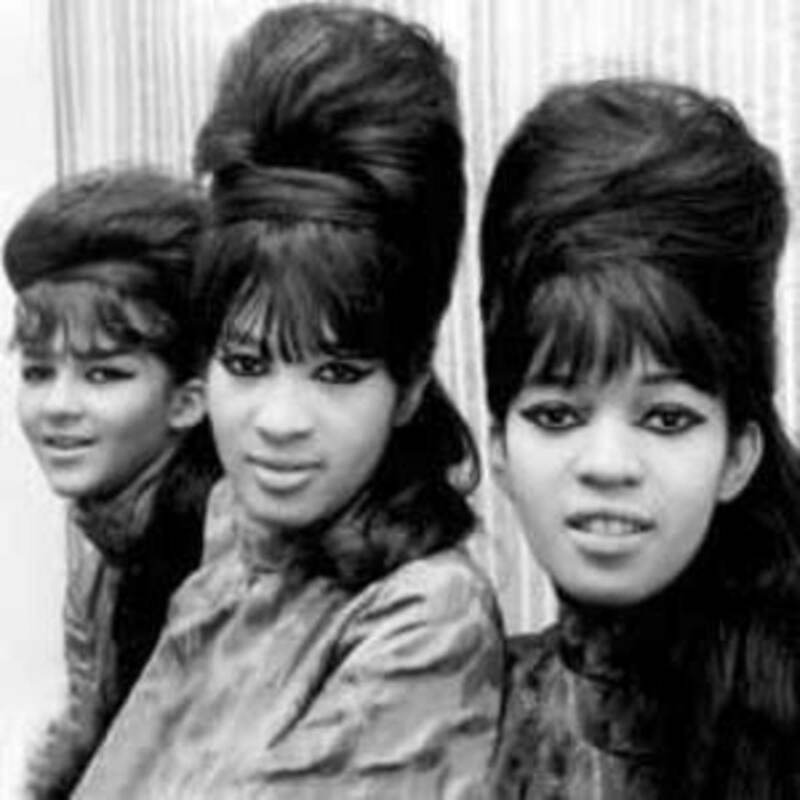 The first women to seek out bob haircuts had to go to barbers, as the typical female hairdressers for women saw short haircuts as a passing fad (their expertise was not in cutting, but in arranging hair). It is fascinating to observe from the vantage point of history how aesthetics cut across an entire society during a time period; the angular form of the bob haircut mirrors the sleek architectural lines of the Art Deco movement which was at its height during the Roaring 20s. 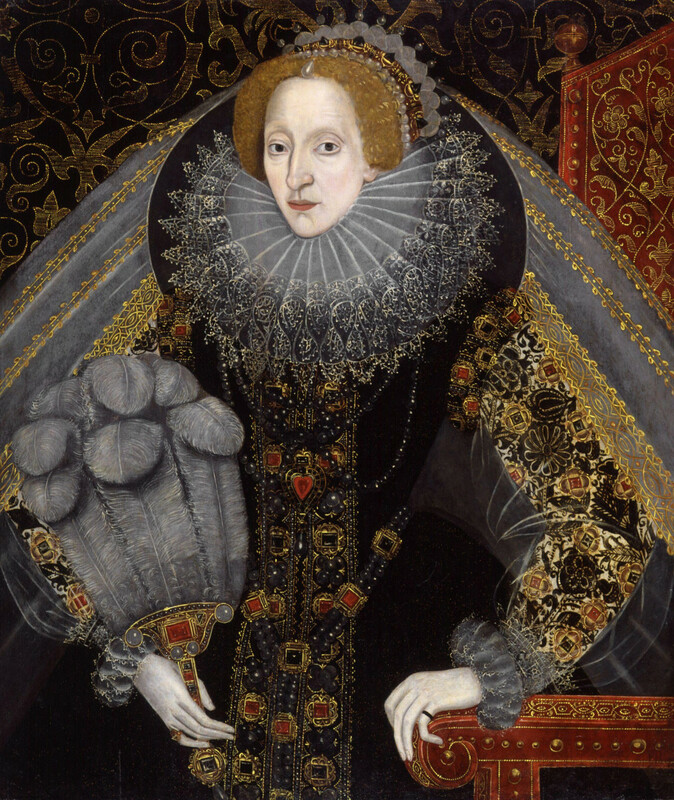 Just as architects and artists were abandoning the flowery embellishments of the past, so were fashionable young women. 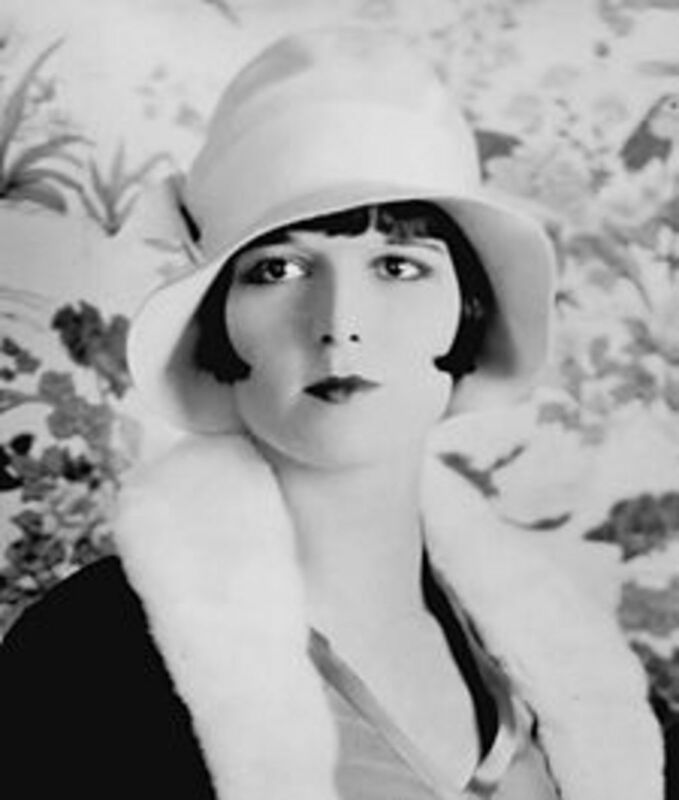 The close-fitting cloche hat was the perfect complement to the bob, and became another symbol of the flapper. During the 1920s, makeup became widely used for the first time ever. There were practical advances in cosmetics and their containers, such as the metal lipstick tube and compact mirror, but even more so, there was a change in attitude. Previously only prostitutes rouged their cheeks, and wearing visible signs of makeup was considered slatternly by polite society. The flappers, however, were not so worried about the social mores of their elders, and had fun using makeup to enhance their features before a night out dancing or sipping cocktails. The kohl-rimmed eye was especially chic, and women also indulged in blush and lipstick. Another style for which flappers are known is the layered necklace look. This was also popularized by Coco Chanel, who encouraged women to pile on layers of pearl jewelry, ropes, chains, and beads. Whether it was fine jewelry or fabulous fakes did not matter to Chanel, who was an early advocate for costume jewelry. Brooches were also stylish in the '20s. Shoes became an important fashion accessory thanks to the rising hemlines of the dresses. Two inch heel shoes with t-straps or Mary Jane designs were the most stylish. Sparkly crystal or diamante buckles and trim were stylish for evening wear. It should be remembered that before the advent of widespread electric light, far fewer people had a need for special evening wear, and in the 1920s, this category of womenswear took on a new importance. Glamor was the goal for these free-spirited party girls. The style of "The Great Gatsby" has captured imaginations. Flappers were energetic, healthy, and vibrant. Not only did they frequent speakeasies by night, but they drove – not just rode, but drove – open top cars, rode bicycles, and horses. For the first time ever, suntans came into vogue, thanks to Coco Chanel. Their radical new attitude definitely drew criticism from the establishment. Matrons did not know what to make of their thrill-seeking daughters, and despaired that their shamelessness and hedonism would lead to a bad end. Fathers could not imagine how the generation of young men who idled away their nights in nightclubs could be counted on to be pillars of society. Women were criticized for trying to look like men with their shapeless shifts and to act like men by publicly drinking, smoking, and driving. It is fascinating to realize how similar the fashions and prevailing attitude towards freedom first seen during the 1920s was revisited by the Youthquake of the 1960s, with the women in their waistless minidresses. Someone as brash as the flapper was bound to attract a lot of attention in popular culture. Flappers were discussed in every forum, and were often featured in the glamorous Art Deco illustrations of the day. They were also written about. The Great Gatsby by F. Scott Fitzgerald is revered as the ultimate contemporary chronicle of the lifestyle of the Jazz Age. An interesting thing about Gatsby is that it was not a bestseller when it was first published in 1925. It tells the cautionary tale of wealthy young people floating aimlessly through life after the Great War. They are attractive, but shallow, and in the end, it all ends poorly. 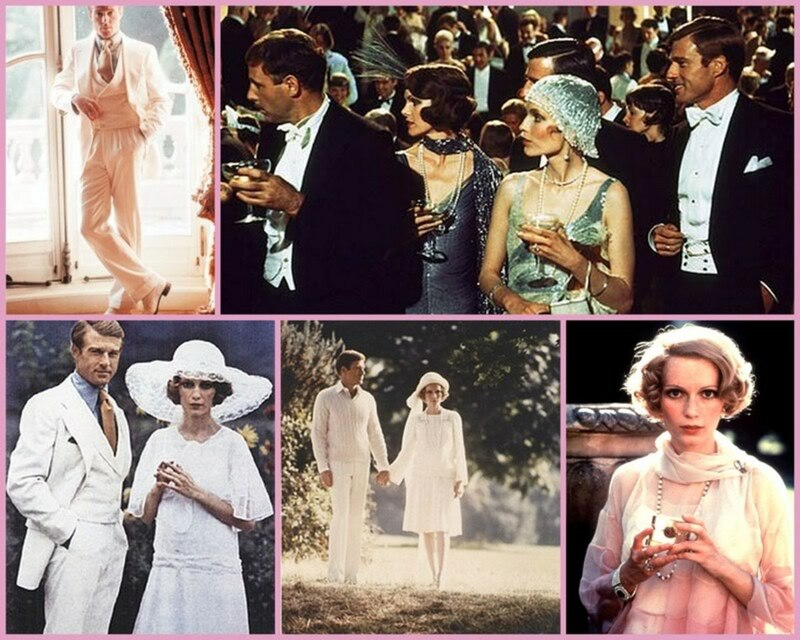 Although the novel does not have a happy ending, the Jazz Age lifestyle portrayed in its pages paint a beautiful visual picture, which has given rise to “Gatsby style”. It brings to mind lawn parties with cocktails, floaty chiffon shifts, and dashing young men. The book has inspired several movies, including the iconic 1974 movie with a screenplay by Francis Ford Coppola and starring Robert Redford as Jay Gatsby, Mia Farrow as Daisy Buchanan, and Bruce Dern as Tom Buchanan. 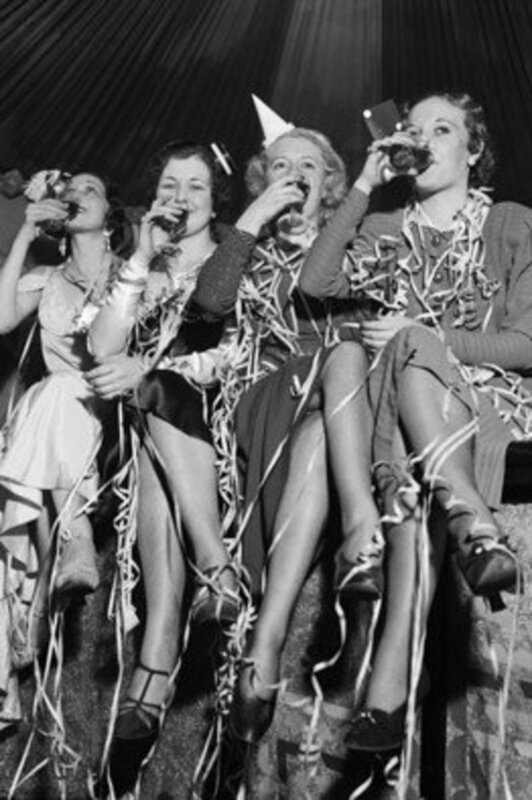 The end of Prohibition gave people something to celebrate during the Great Depression. As exciting as the Jazz Age was, all good things must come to an end. This particular decade-long party came to a screeching halt with the stock market crash on October 29, 1929. The same spirit of excess and thrill-seeking which characterized the flappers was rampant in the business world, leading to speculation which turned out to be disastrous. There is nothing like losing all of your wealth to kill the spirit of a party, and the Great Crash was a very clear end to the high spirits of the 1920s. Hemlines lowered, and people became more serious in their pursuits. Prohibition, which had fueled much of the underground nightlife of the Jazz Age, officially came to an end during the Great Depression in 1933; as President Roosevelt famously noted, "I think this would be a good time for a beer.". Despite the shocking way in which the Roaring 20s ended, the spirit of the Jazz Age is one which still captivates. The iconic fashions of the flappers, their liberated attitude, the music, the dancing, the glamor, all combine to make the 1920s one of the most popular historic eras, with an unending power to inspire. The appreciation for modernity, the stylish approach to living, and above all the fashion of the flappers make the Jazz Age one which will never be forgotten. Loved this Hub! Thanks - Rated up and I'm a fan. Wow, you've written a ton of information here. Thanks for the resource. My dream is to become a flapper. I love your hub! Despite the shocking way in which the Roaring 20s ended, the spirit of the Jazz Age is one which still captivates. The iconic fashions of the flappers, their liberated attitude, the music, the dancing, the glamor, all combine to make the 1920s one of the most popular historic eras, with an unending power to inspire. The appreciation for modernity, the stylish approach to living, and above all the fashion of the flappers make the Jazz Age one which will never be forgotten.Despite the shocking way in which the Roaring 20s ended, the spirit of the Jazz Age is one which still captivates. The iconic fashions of the flappers, their liberated attitude, the music, the dancing, the glamor, all combine to make the 1920s one of the most popular historic eras, with an unending power to inspire. The appreciation for modernity, the stylish approach to living, and above all the fashion of the flappers make the Jazz Age one which will never be forgotten. I just love the styles they had in the 20s!!!!! 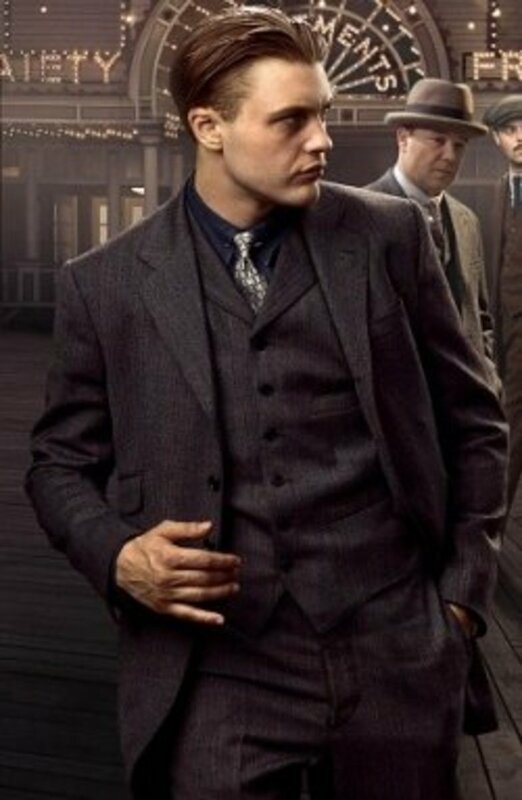 I'm going to school for fashion design...the 20s are comin' back!!!!!!!! !